Why Do You Need a Native Speaker to Translate Your Documents? / business / Why Do You Need a Native Speaker to Translate Your Documents? Communication only gets completed when the receiver of the message understands what has been transmitted by the sender. In case of a communication involving language, whether verbal or written, the situation is more challenging when the sender and the receiver do not use the same language, and this is where a native speaker can be used to translate the meaning in order for the other party to understand it. And an effective translation of the messages becomes more important to ensure the recipient understands precisely what was sought to be communicated by the sender. However, there could be a high probability of confusions and inefficiency in this regard. Translation is an art that requires good skills in both languages, the communication process, styles, cultures and man other trivial things. Hence, it is essential to ensure that while directly communicating with several people, the equivalent points are comprehended by all. In e-commerce website translations, this is an important point. Visitors to website, readers, community, sellers and clients gather thoroughly based on what they understand. But vernacular native language and local culture do stand to influence the whole process much. 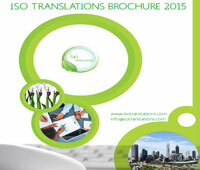 Translators use their abilities to read people, contexts and business needs in order to provide an effective service. If they do this correctly, it will increase their client’s turnover because the target customers will receive the message the way it was designed in the source language. Professionals offer premium quality translation services and they have a good understanding of the market, the local people, etc. They work on several aspects, such as proper localization based on the local culture, the nuances that only the locals know, experience in some specific areas, and so on. This can only be done by a native speaker of the target language, a linguist who is well versed with both the language and the culture. 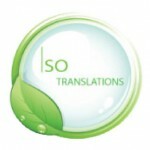 Usually these professionals provide high quality translation services. For companies wanting to enter into a new market, it’s recommended they avail the services of some translation professionals to provide a local-feel and good content. All the effort and energy expended to put together a good new business proposition, and the investment for getting it launched will not be worth if a poor translation hinders your communication with the target audience. Communication across two cultures is perfected when there is an uniformity in message and purpose, and a native speaker is able to do just that. This need not be the case between two countries. It can be the case in a country in different communities having significantly different culture and practices. If you want to target a specific market, it’s important to comprehend its culture and language either directly or through someone. Skilled translators can work in many areas, like desktop publishing, document translation, language localization, website translation, etc. Communication errors in your marketing efforts can prove significantly expensive and it’s not worth the chance to take by not employing professional translators. Have you tried using a native speaker in your translation work? Share your experiences in the comments section below.